On 23 March, Maritime Self Defense Force’s two P3C Aircraft left Malaysia for Perth, Australia and have been involved in the search operations there since 24 March. 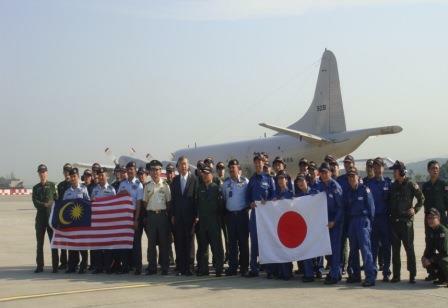 Another two P3C aircraft from Maritime SDF Atsugi Airbase arrived at Subang Airbase to replace these two aircraft on 8 April. They left for Australia to join the SAR operations offshore southwest Australia the following day, on 9 April. On the day of departure, Ambassador Miyagawa and Commander Hideki Jufuku of the Maritime SDF, had an interview with the press. 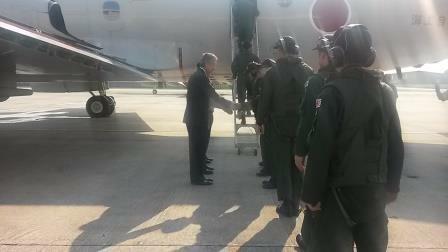 The Ambassador also encouraged the crew before sending them off. - It has been over a month since the MH370 went missing. It is becoming difficult to be optimistic of the situation, but I would like to stay hopeful. It is time for the international community to come together to meet the challenges of such an unprecedented incident. - I have been informed that the search operations are extremely difficult because of the rough weather offshore southwest Australia. 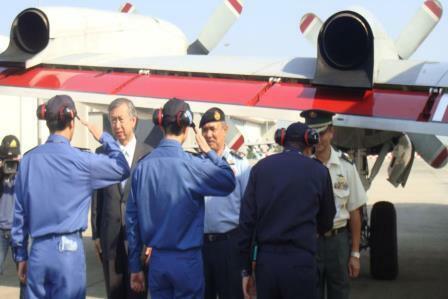 Japan has contributed by sending aircraft, personnel with the latest technology including satellites amidst this difficult time. The Japanese crew is maintaining a high morale and I am very proud of them. 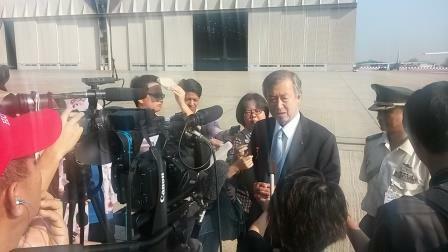 - We understand that Malaysians are deeply concerned about the missing flight MH370. Our thoughts are always with the Malaysian people. - We are now leaving for Australia to replace the crew currently involved in the operations there. We will do our very best for the mission by closely cooperating with the Malaysian Government and other nations’ search teams.